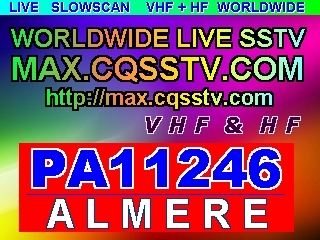 The SSTV Slowscan images are uploaded automatically. Responsibility rests entirely at the station transmitting these pictures! 9 Canada 126 Nicaragua 243 Agalega & St. Brandon Is. 22 French Guyana 139 Southern Yemen 256 Prince Edward & Marion Isls. 24 Panama 141 St. Pierre & Miquelon Is. 258 Tristan Da Cunha & Gough Is. 48 Saudia Arabia 165 Sardinia Island 282 Auckland & Campbell Isl. 112 Lebanon 229 Heard Island Vk0h 346 St.Barthelemy Is.